For a show stopping and special dessert, try mini Pavlovas with fresh strawberries & whipped cream. 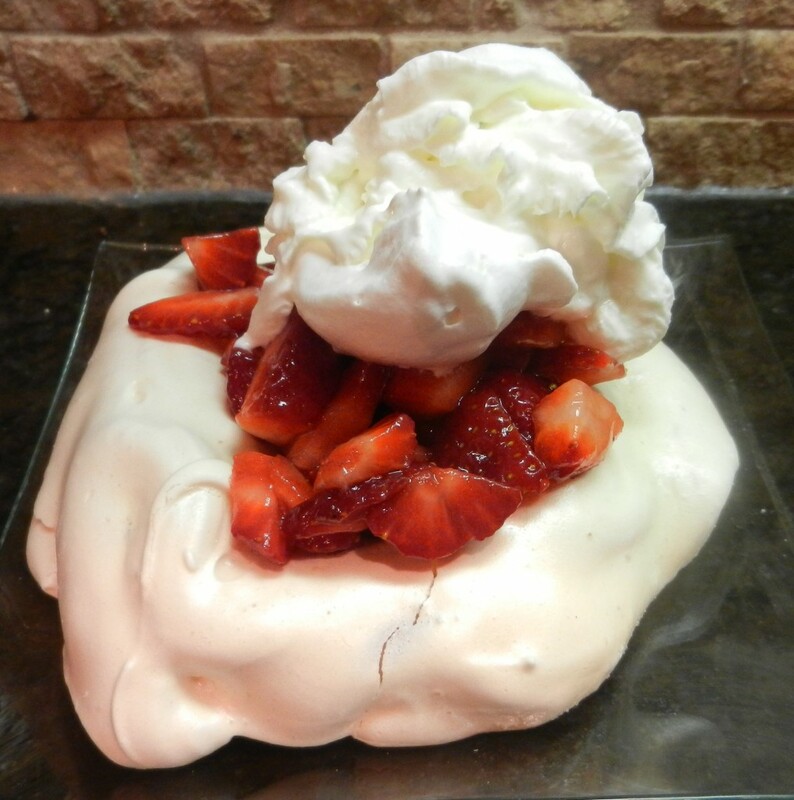 A Pavlova (named after Russian ballerina Anna Pavlova) is a meringue “bowl” most often made to hold fresh fruit and whipped cream. Crunchy on the outside, marshmallow-like on the inside, a Pavlova is a unique and elegant dessert. 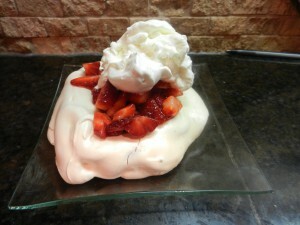 Pavlovas aren’t that difficult to make, they just require a long time in the oven. They can be made ahead and stored at room temperature or in the fridge (for up to 10 hours). Pavlovas don’t fare well in humid weather and are best made on rain free days. Make Ahead: Make the Pavlovas and store at room temp. Dice berries into uniform pieces, sprinkle with a small amount of sugar, and store in the fridge. Make whipping cream a few hours ahead of time; store in the fridge. Just before serving, place Pavlovas on dessert plates and top with berries & whipped cream. Note: When whipping egg whites for Pavlova meringue, make sure there is not a hint of egg yolk in the whites. If yolk breaks into the whites, throw away and start over:-( I’ve had to do this many times, but yolk just ruins any attempt at making meringue. If you try these, please let me hear how they turn out. Comments are always welcome and much appreciated:-) As always, thanks so much for stopping by. Be blessed, and stay savvy! Mini Pavlovas make perfect portions of "crispy on the outside soft on the inside" meringues to serve as a base for fresh fruit and whipped cream. Draw a small circle~5-6 inches~on parchment, using a bowl as a guide. In a large bowl, beat egg whites on high speed until soft peaks form. Add 3/4 cup of the sugar gradually; continue whipping until sugar is dissolved. Mix together the remaining 1/4 cup sugar with the cornstarch; lightly fold into meringue with lemon juice. With the back of a spoon or an ice cream scoop, make a bowl indention in the middle. Place in oven; reduce heat to 250 degrees. 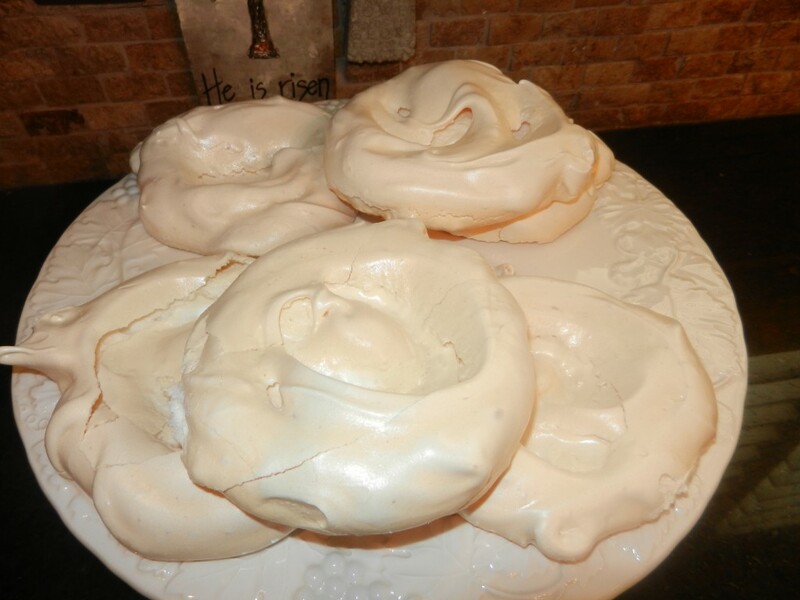 Bake for one hour or until meringues are dry to the touch. 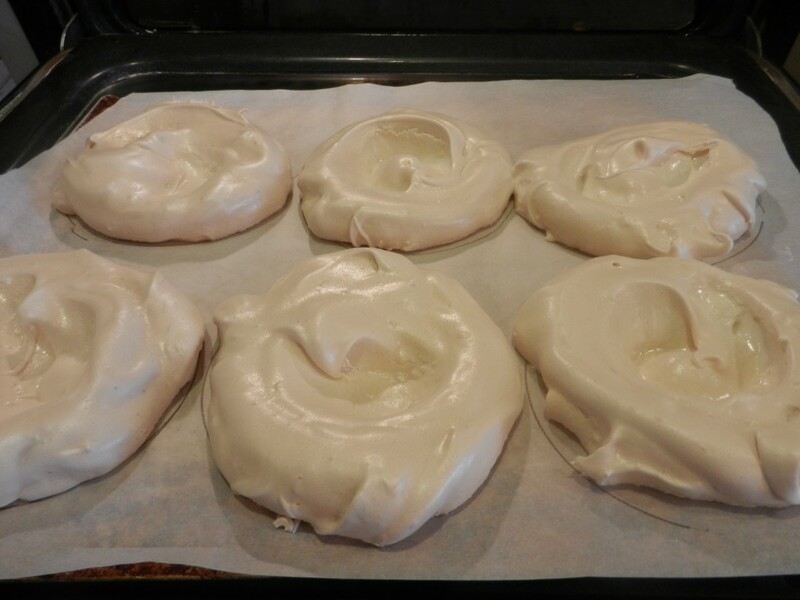 Turn off oven open door slightly, and leave meringues in oven for an additional 30 minutes. When cool, the meringue should be hard on the outside, and soft on the inside. In a medium bowl, combine the cream, sugar, and extract. 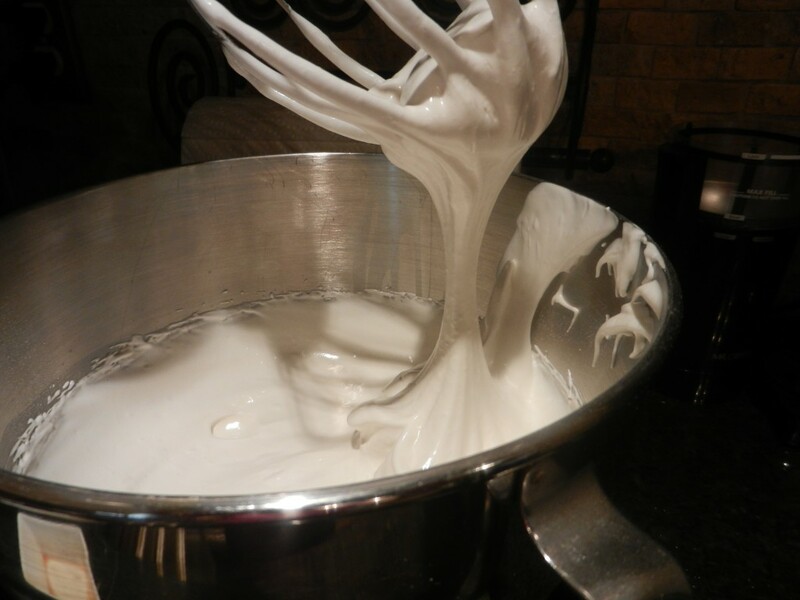 Whip until stiff peaks form, being careful not to over mix. Store in fridge up to 10 hours before using. Fill mini Pavlovas with finely diced fruit. Shape into bowls & bake….